They’re all short at this time of year… Been out exploring by rail, using a “West Midlands Day Ranger”. 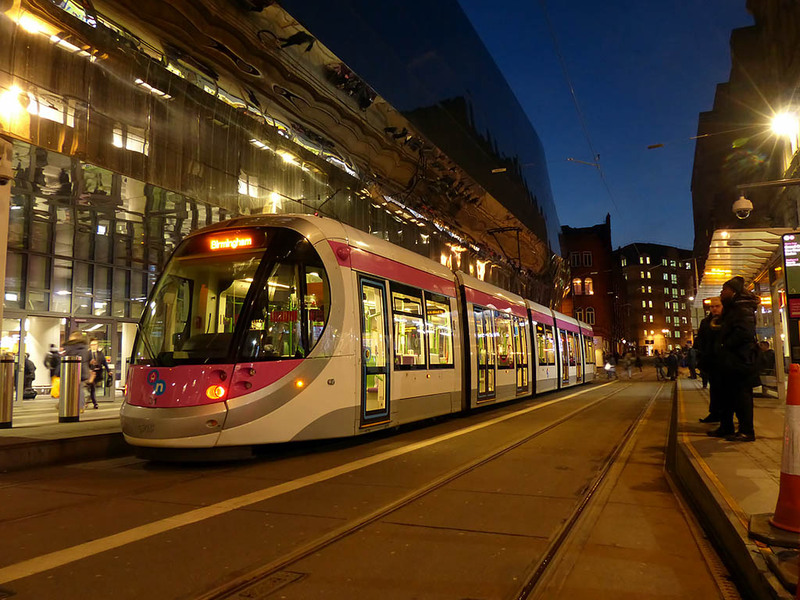 By the time we got back to New Street, it was dark – but there’s enough light for a few photos of the trams, before squeezing into a rush-hour train. More to follow, in due course, on “Geoff’s Rail Diaries”. In the meantime, here’s tram no 31 in Stephenson Street.